This is an authentic recipe from the Yucatan province of coastal Mexico. 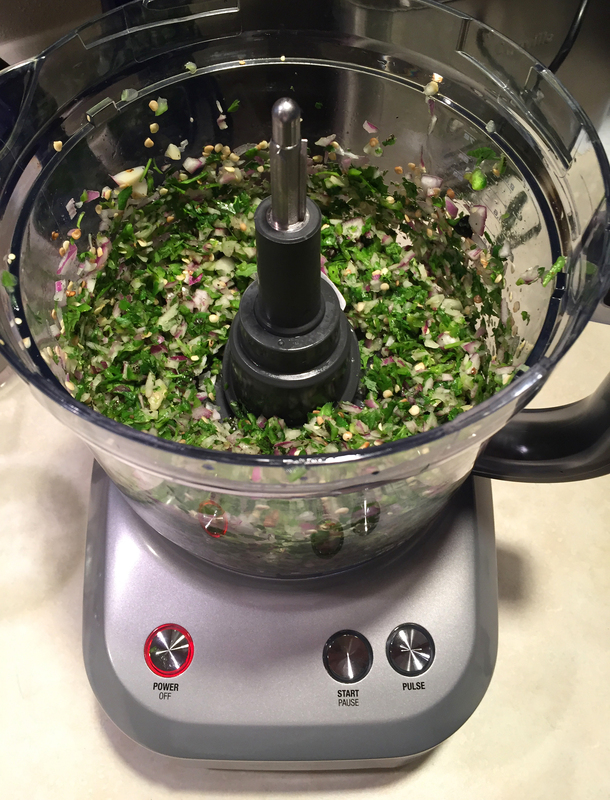 Its assembly is remarkably simple… like fresh salsa should be. Adjust the ingredients based on your personal heat preference, what peppers you have available and how many guests you wish to torture. Keep in mind that the mighty habanero is one of the hottest peppers on earth, with the active heat compound, capsaicin measuring over 280,000 Scoville Heat Units. By contrast, a jalapeño pepper boasts a wimpy 6000 SHU. Pure capsaicin or “the heat essence” of a chili pepper is benchmarked at 15,000,000 SHU and this is the limit. Now, after that bit of pyrotechnic introduction, it is pointless for me to stress further the need for extreme caution when handling habanero peppers. I could tell you some interesting stories, but the less said, the better. Use care when preparing them, and for God’s sake, avoid touching the peppers as much as possible or rubbing your eyes or other sensitive areas. Wash your hands with soap, lemon juice or rubbing alcohol afterwards. Your best bet would be wearing food service gloves. En Fuego!! 8-10 large, fresh green tomatillos (Mexican green tomatoes), husked, washed, cored and fine chopped. 2 habanero peppers, stemmed and fine chopped with seeds. Tomatillos produce a wonderful lime tasting/colored salsa that is the base for my milder Salsa Verde. Fine chop the tomatoes with a very sharp knife, but do not puree into a mush. Place in bowl, adding the fine chopped peppers and spices. Go easy on the salt, and taste often, keeping in mind that the ingredients will blend together over time – so do not overcompensate. Generally, the mix will become hotter if left to stand a bit. The best thing about this salsa is watching the look on your guest’s faces. 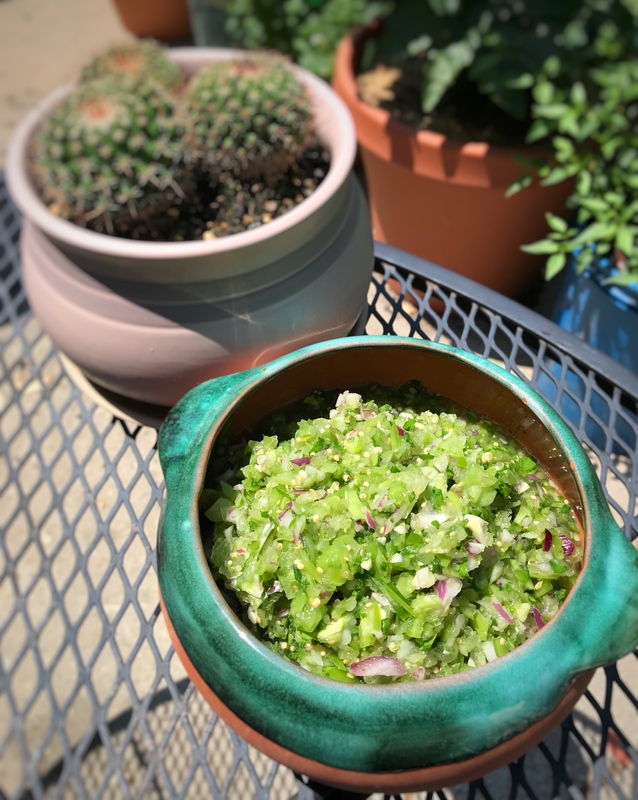 This is a wonderful crab salsa recipe that uses green tomatillos. It is popular on the west coast of Mexico where seafood is plentiful. Tomatillos are Mexican tomatoes that have a papery husk around them. They have a very distinctive lime flavor that is thirst quenching on a hot day. Try this with iced tea, or a cold Corona and good quality corn chips. When possible, use real crab meat. It’s very expensive but there really is no comparison to pollack. Do not let the onion or heat from the chilis overpower the crab. Less is more with this version. Experiment and leave out the onion if desired. 8-10 large, fresh green tomatillos, husked, washed, cored and fine chopped. Place the chopped tomatillos in bowl, and add the chopped peppers and spices. Add the crab meat last and mix gently. Go easy on the salt, and taste often, keeping in mind that the ingredients will blend together over time – so do not overcompensate. Generally, the mix will become hotter if left to stand a bit. Let sit at room temperature for 1/2 hour. If the water content of the tomatillos separates out in the bowl after a while, drain the salsa by ladling out the excess liquid with a tablespoon. This is normal as the salt will draw out the liquid from the tomatillos.